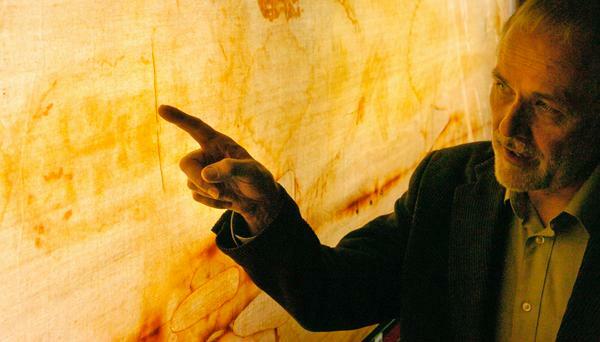 This Saturday you will have the opportunity to meet Dr John P. Jackson, the world’s foremost expert on the Shroud of Turin. In 1978 Dr. Jackson, a PhD in physics, led the team of NASA scientists which was given unprecedented access to the Shroud in order to perform studies and extract data for a week. Since that time he has continued to study the Shroud and speak about it all over the world. This is a rare opportunity to hear Dr. Jackson speak about his up close and personal experience studying the burial cloth of Jesus. Dr. Jackson will be speaking at the San Antonio Convention Center this Saturday, May 2, from 10:30-12:30. Seating is limited, so don’t wait to get your tickets for this once-in-a-lifetime event. Tickets are available online here for $16, which includes the conference with Dr. Jackson on Saturday and admission to the Shroud Expo on Dolorosa St. (This is a great deal, as Saturday tickets to the Expo itself are normally $18) If you are planning a visit to the Expo before Saturday you can buy tickets there for $5.00. Tickets will also be available at the door Saturday for $7.00, but seating is limited, so get your tickets now. This is a perfect time to learn more about this amazing relic, which scientists are still unlocking even today. 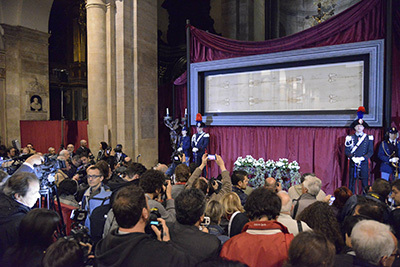 In Turin, Italy the Holy Shroud is on exposition through June 24, an unusual event since it is normally only exposed every 25 years. This year the extraordinary exposition is being held to coincide with the bicentenary celebrations of the birth of St. John Bosco, who lived in Turin. Pope Francis himself will be traveling to Turin in June to venerate the Shroud. We can’t get to Italy to venerate the Shroud, but you can bet we will be at Dr. Jackson’s talk this Saturday. And after you attend his talk, make a visit to 416 Dolorosa St. and experience more of the history and science behind the Shroud at the Shroud Expo. It’s an amazing experience which lays out the story of this mysterious cloth, including many ancient artifacts from the time of Our Lord. Originally the Shroud Expo was scheduled to end April 12, but it has been extended until July 12, so don’t miss this great opportunity. This entry was posted in Jesus and tagged Dr. John P Jackson, Jesus, Shroud Expo, Shroud of Turin by texasnuns. Bookmark the permalink.